Monsoon has arrived and with it several perks like standing water, collective home of mosquitoes and other pestilence filled stuff that makes showering under the rain tantamount to dipping yourself in sewer. OK! This might be a bit graphic to think about. However, you must have already gotten the gist of what has been written here. When monsoon arrives, it is not only about the amazing rainy season, in fact, it is the time to make sure that your child is protected from the various diseases that are bond to come up. Why the babies are vulnerable during rainy season? When a child is just an infant, their immune system is just starting to develop properly. To that end, their bodies are vulnerable at all times. When rain arrives, the new weather condition s not merely just some wind and rain. A fair bit of humidity and discomfort is also involved. A baby’s cannot handle all this diversity in the weather. This is the reason that babies tend to be vulnerable during the rainy season, and this is also the reason why they should be protected in the best way possible. First thing to consider here is that for all intents and purposes, rainy season is an enjoyable affair and to that end, you need make sure that your baby gets to enjoy it in some shape or form. 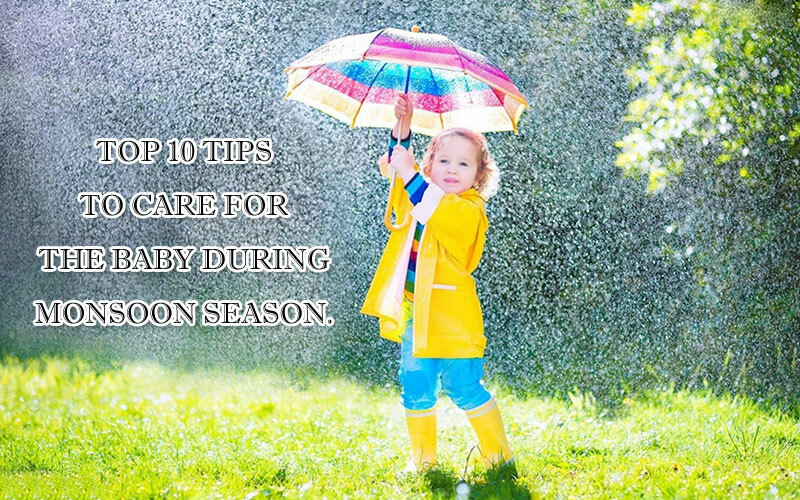 This is the purpose of this list, to tell you with ways so that your baby is not only safe from monsoon, but is also able to enjoy it. 1. The key is to keep the baby clean and dry: this one is a pretty obvious thing to do. You need to make sure that your baby is clean and dry at all times. The humidity that rainy season brings with itself tend can be especially problematic for the baby. Make sure that you bathe your baby at least twice a day. While you are doing so, make sure that you put extra attention under the arms, the head, the below the feet part and also the eyes. Furthermore, make sure that baby is wearing clean cloths and you are not wrong to expect the same from the other caretakers in the house. The baby can enjoy the rain from inside the house and through the window. However, if they might want to enjoy some of those droplets on hand, it should not be much trouble, remember to clean them though afterwards. 2. Make sure that they are dressed in a comfortable manner: as we have already discussed, a body of the baby won’t be able to handle the climatic fluctuation that comes with the monsoon. To that end, it is good that you dress your baby in clothes that are neither too hot, neither too cold. What is important here that the baby’s body is covered completely (barring the hands, feet and mouth)? As the climate is going to humid, cotton cloths are the best for them. Also make sure that the cloths are also dry. 3. The mosquitoes are vile predators, keep them away from children: Malaria and other form of diseases is the most common when it comes to monsoon. Therefore, it is important that your babies are protected from it at all times. Make sure that you baby is dressed properly: full sleeves shirt and pants that complete cover the legs. Also, you need to make sure that you stay away from standing waters (water that has been stagnated at one position because there are no ways to drain). Standing waters form the perfect Petri dish for the mosquitoes to breed. Therefore, staying away is the goal here. Also, there are several ointments that are available in the market that repel mosquitoes. Put on these baby friendly ointments on your child to keep him safe. 4. 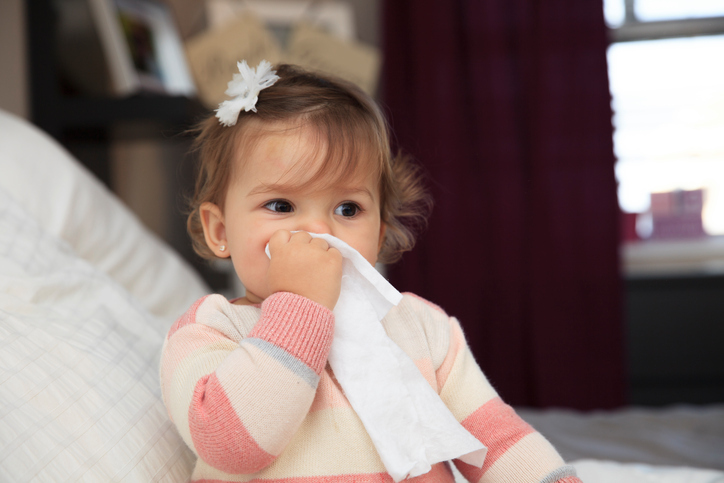 Stay away from ill people: Your baby’s immune system is still being fully developed. Therefore, you need to make sure that no sick individual gets into contact with them. It is not just about the baby however, you also need to ensure the same for yourself. To that end, make sure to wash your hands with hand sanitizer whenever you come in contact with a sick person. 5. Make sure that you avoid any sort of crowded place: you cannot imagine the amount of sickness flows around in crowded places. Such a place is nothing short of a hell for a baby’s health. This hellish crowd becomes more and more accentuated during the rainy season. Therefore, your baby should not be a part of any crowd at any point of time during the rainy season. 6. Hygiene is pretty much an unspoken rule: Your baby’s hands should be clean at all times. If there have been contact with the mud, you need to make sure that the baby’s hands are washed almost immediately. Make sure that you and the baby both wash your hands using open water under the sink. Hand sanitizers, no matter what kind are a lazy tool and to that end, when you are washing your hands in front of the baby, the baby might also learn a good lesson as well. 7. Only boiled water is good water: Rain nowadays doesn’t have the same fidelity of purity that it used to. It is mostly acid rain now. Consequently, even exposure to too much rain is bad for you. Therefore, make sure that you boil water that you are using at any given moment of the day. Boiled water is the best kind of water and can provide you and your baby with all the sort of purity that you need to stay hygienic. Therefore, make sure that you use boiled water at every moment of your day. 8. Everything fruit and every vegetable that you eat should be washed prior to using it: rain water is not good for your vegetables, not if you are living in an urban region. To that end, it is downright mandatory for you to wash every fruit and vegetable before feeding it to the baby. Furthermore, the wash should not be touch and go, it should be thorough and it should be long. Trust me! You would want to make sure that no fruit related bacterium even touches your baby. To that end, don’t only rely on water to wash the greens, use salt as well. 9. The first showers are never good: the first showers mainly entail the impurity that is present above the earth. To that end, if you really want to play with your kid in the rain, you need to avoid the first showers. The amounts of bacteria in these first showers are at an alarming amount. To that end, prevent the first showers. 10. Feed them light meals: It all comes due to the reason of ambient humidity due to rain. In order to maintain the body temperature of the baby, you also need to watch what they eat in addition to what they wear. 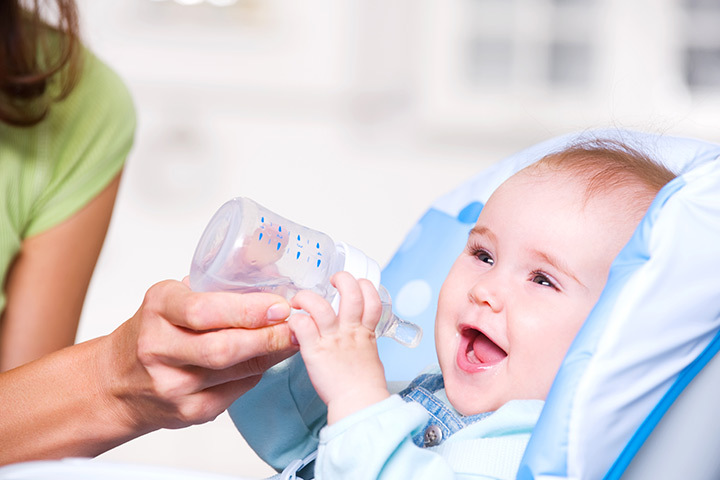 Therefore, make sure that your baby is only eating light meals and light drinks. Therefore, stick to coconut water, thin Lassi, or fresh fruit juice. Our baby would not only be healthy, they would be smiling as well. Dr Vijay Agarwal is a paediatric cardiac Surgeon at Fortis Memorial Hospital. He has performed cardiac surgery for over 450 to 500 cases. As a paediatric surgeon, he also focuses his skills towards the health of the children when it comes to the matter of taking care of them. Previous articleIs Chemotherapy Safe for Babies?